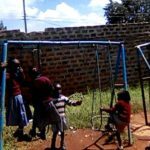 Outdoor play equipment was purchased a while ago with funds raised in memorial to one of the trustees daughters. 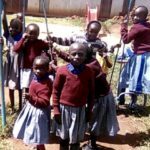 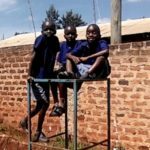 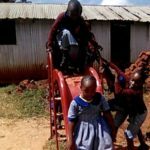 Unlike most children in “Western” countries, many of the pupils at Aquinoe have little chance to experience this kind of apparatus, so they love to use swings, slide and roundabout at break and lunch time. 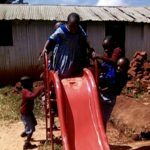 There is often a rush as the children run down to the play area.